Save on your next flight from PBH to DFW when you book through Travelocity. Need a last-minute flight to Dallas? Travelocity offers discount airfare no matter when you book, even on popular routes such as Paro Airport to Dallas-Fort Worth Intl. Airport. Whether you need a direct or indirect flight, you can trust Travelocity to provide you with the best prices for PBH to DFW flights. Flight path for flights from Paro Airport to Dallas/Fort Worth International Airport. Below are the most flown air carriers at Dallas (DFW) airport. Click to see their most popular routes and look for airfare. Explore Dallas with Travelocity's Travel Guides to find the best flights, cars, vacation packages and more! The hotel is located inside Dallas-Fort Worth International Airport adjacent to Terminal C. A complimentary shuttle transports guests to all airport terminals; downtown Dallas and downtown Fort Worth are less than 25 miles (40 kilometers) away. Opened in 2005 as part of Dallas-Fort Worth Airport's multibillion-dollar Terminal D, this hotel is less than 15 miles from Cowboys Stadium, 20 miles from Dallas, and 26 miles from Fort Worth. 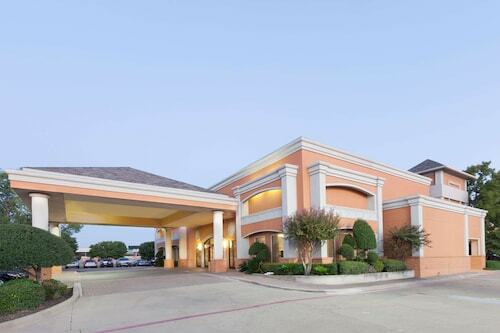 This Irving hotel provides quick access to Highway 114 and is located approximately 1.5 miles from DFW airport. It is conveniently located minutes from historic Grapevine, Irving Convention Center, Gaylord Convention Center, Grapevine Mills Mall, as well as shopping, dining and area attractions like Cowboys Stadium, Six Flags, Hurricane Harbor & Dallas Convention Center. Situated near the airport, this hotel is within 6 mi (10 km) of MacArthur Park, Grapevine Mills Mall, and Irving Convention Center. Legoland Discovery Center and SEA LIFE Grapevine Aquarium are also within 6 mi (10 km). See all 429 Properties in Dallas-Fort Worth Intl.